The Solo: A Star Wars Story Hans Solo Deluxe Mens Deluxe Costume has everything you need to channel the rogue hero of the Rebellion force. You’ll feel powerful and brave as you take on the Sith and bring the galaxy back to order. 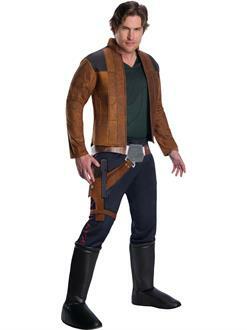 Grab your blaster this Halloween, shoot first and ask questions later.